Flat Fee Listings will get you in the MLS. However, it takes more than being in the MLS to sell your home. 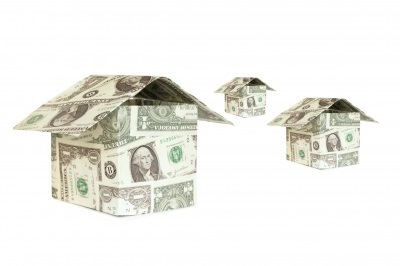 Companies that offer you a flat fee to list in the MLS get a large chunck of money up front. Now, they may offer to do more advertising (at a cost), give you signs for your yard (at a cost), answer and screen telephone calls for you (at a cost), bring potential clients to your home (at a cost) and the list can go on & on. It could cost your more to pay for such individual services than if you’d just allowed a broker to sign your listing. By doing the work yourself you could actually be losing thousands. For example, where did you get the value of your home? Is that a number that you came up with on your own? Was it what a friend thought you should get? Is that what one of your neighbors got for their home? Here again, there are many more questions to consider. A real estate agent will do a Comparative Market Analysis to let you see what the current market allows for homes similar to yours. Did I mention the limited service broker will also do this (at a cost)? If your home is under priced, you will lose the money that may well have paid your broker and put more in your pocket. If your home is overpriced it will just sit on the market and do nothing. In NC, typically, buyers do not pay commissions. As a result, most buyers choose to have a real estate agent represent them. This is in their best interest since their agent will know what to look for and inform them of any concerns. Statistics have shown that the majority of buyers use an agent, possible for this very reason. So, if a buyer has an agent, the agent sees that you are not wanting to pay commissions (which is how agents earn a living) what do you think? Do you think they will be willing to show your home? There’s more to Real Estate than meets the eye. We all want to save money. We all want to see our home sold. Agents want to get the most out of your home that they can. To sell your home for less only cuts into their pay as well. Still, a good agent will want to ensure that you are getting the most you possibly can for your home. It’s what builds good will. This is where it falls upon you to learn how to choose a good agent, but that’s another article. Flat fee MLS listings sound good, on the surface. However, if you tend to look a little deeper these listings may not serve your best interests and could cost you more. Previous PostSell Your Home Yourself and Save Real Estate Commissions!Next PostShould I Hire An Appraiser?